One way to learn more about homeopaths is to read a short introduction to homeopathy. A German physician, Samuel Hahnemann, started what is now known as homeopathy in the late 1700's. His discovery about quinine relieving the symptoms of malaria started the homeopathy revolution, which has a growing number of followers today. Homeopathy literally means to "treat with a similar disease." Today's traditional medical professional uses the allopathic method, which means to "treat with other than the disease." Homeopathic methods are considered less invasive than allopathic methods, though often they can be used together. Many allopathic physicians will not employ homeopathic methods in their treatment programs while others find it complementary. Physicians that do learn about homeopathic methods will often get a degree in homeopathic medicine and thus become a Doctor of Naturopathic Medicine or a Licensed (or certified) Homeopath. A homeopathic practitioner will create a remedy based on your symptoms. The treatment, comprised of various herbs or other substances, will be given in very small doses diluted with water. Treatments may also be made into a topical salve or be administered using aromatherapy. The smallest dose needed to treat a person will always be used. Only one remedy is ever used at one time no matter how many symptoms are present. If the remedy doesn't work, the homeopathic practitioner will change the remedy and begin the treatment once again. This will continue until a remedy that works is found. The jury is still out on whether homeopathic medicine works or not. Many traditional allopathic doctors believe that homeopathy is quackery. Those traditional doctors that have seen beneficial effects are more inclined to allow, or even encourage, patients to take homeopathic remedies. Even though homeopathic medicines are completely safe, even when taken along with prescription medicines, patients should always let their doctors know of any over the counter or homeopathic remedies they are taking. People that have experienced miraculous recoveries based on their ingestion of homeopathic remedies swear by them. There has been no scientific evidence given to most holistic therapies, so people that take them do so at their own risk. The Federal Drug Administration usually takes years to approve any remedy, and they are most likely to approve medicines that have been researched thoroughly. 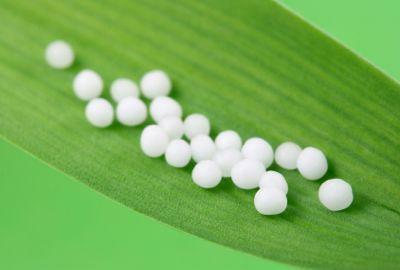 In the meantime, there is no shortage of homeopathic practitioners and remedies readily available around the world. People seeking a degree in homeopathy require more than a short introduction to homeopathy before they practice on real people. Most individuals that seek a degree in this field spend several years learning about different remedies and what each herb can do when mixed with other herbs. They may also learn other types of medical practices, such as acupuncture, herbalism and iridology. Holistic practitioners usually work with other, more knowledgeable, practitioners before they strike out on their own, learning the proper way to prepare homeopathic remedies. It is also important to note that homeopathic practitioners not only treat humans, but many of their remedies may be helpful in animals as well. Homeopathic remedies are comprised of various substances that are mixed together by people who have the knowledge required to make them. People that purchase homeopathic remedies should do a little research on the products they are ingesting before they begin taking them, and always insist on knowing everything that is in a homeopathic mixture that they purchase..